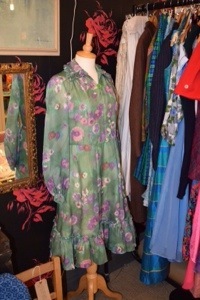 There are many layers to my love of vintage. Ultimately I sell vintage because I buy so many beautiful things. 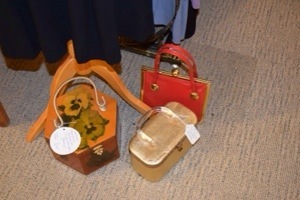 I just couldn’t live in a big enough house to cope with my vintage shopping! 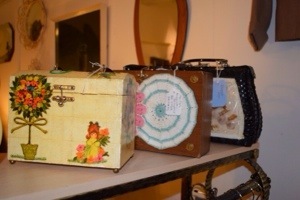 I’ve loved gorgeous quality vintage items, particularly homewares, for years now. And my house shows it. 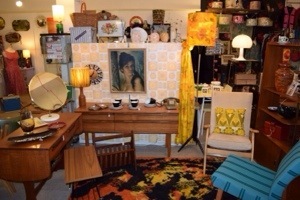 Because I began to sell vintage last year I took a fantastic one day course http://www.vintageacademy.co.uk presented by two particularly wonder vintage heroines of mine, one being Keeley Harris of http://www.discovervintage.co.uk. 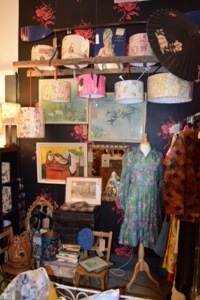 If you know vintage you’ll recognise Keeley! She’s been on tv and everything. 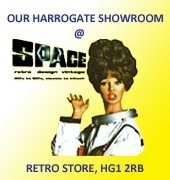 After the course I saw on Facebook that Keeley had taken some space in a shop in Harrogate. When the time came for me to travel up to Newark therefore I decided that now was the time for me to make a special journey to the shop. 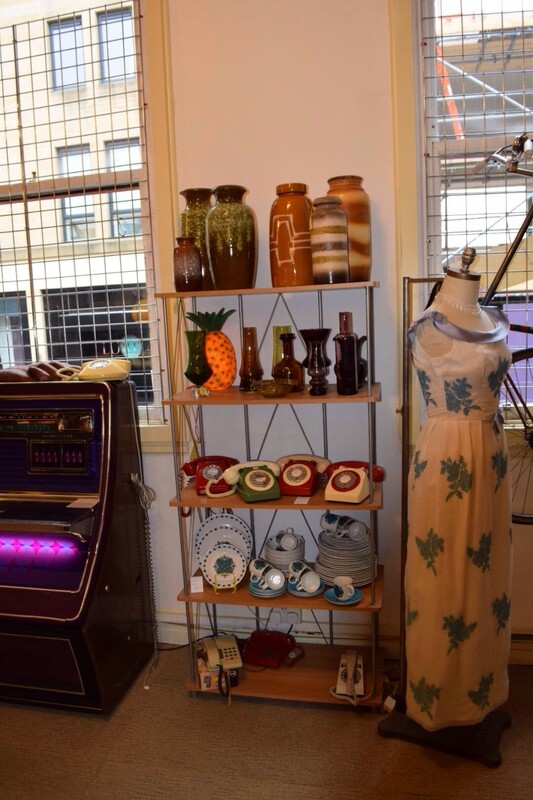 I do like an excuse to go to a vintage shop! There are two main areas to Space, the first on the ground floor. This is a really large area filled with enough vintage furniture, art, clothing and homewares to make me feel like I’m in my house! Immediately you enter you’re greeted by gorgeousness. 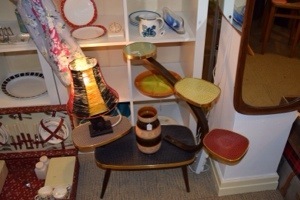 a 1950’s planter table which just should be mine…. 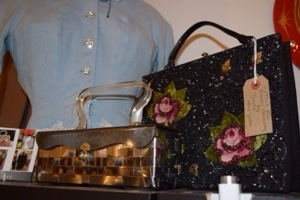 Ultimately I settled on a 1950’s wicker and lucite bag which I simply adore! This is a great shop. I went round the ground floor three times! I just loved it. This place is filled with love and respect for vintage. There aren’t rails of clothes jammed so tightly in that you just can’t get to them. Everything that is out on display is appreciated and given space. Ahh, maybe that’s why it’s called that? The guys in the shop (including the owner) were super friendly and welcoming. I love their Facebook page which has the same charm as the shop. And the music playing adds to the atmosphere. How many shops do I walk into that are playing completely the wrong music for the occasion? Not this one – David Bowie, a bit perfect. Upstairs is a bar/cafe, another showroom of furniture and a record shop which was sadly shut when we were there. 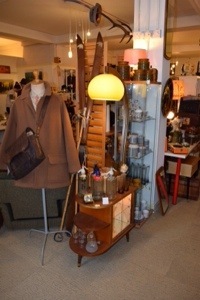 The range of goods here was excellent, proper vintage items of a high quality and good prices. 6. 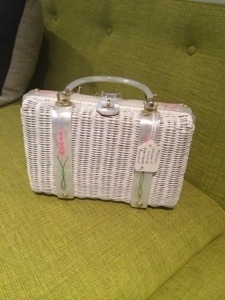 We stayed at the Rudding Park Hotel http://www.ruddingpark.co.uk which is just a bit vintage in some of its decor!